The results revealed that two particular enhancers, regulating SLC9A3R1 and Yin Yang 1 genes, are activated at specific stages when they might help cancer cells grow and evade treatment. In particular Yin Yang1 was found to switch on SLC9A3R1, which helped tumours grow. In mouse models of T-ALL, the researchers used genetic engineering to block HSF1. That killed all the cancer cells without affecting healthy tissues, they discovered. Removing HSF1 did not interrupt the production of normal blood cells, they said, nor could they find any other adverse effects. Elephants have 100 times as many cells as humans. But they seldom get cancer. This is surprising, because cancer is a result of cell division gone wrong, and the more cells an organism has, the higher the chances that some will mutate into tumors. Also, because elephants live so long — between 60 and 70 years — their cells have more opportunities to mutate. Johnson’s case has attracted international attention, with the judge allowing his team to present scientific arguments about glyphosate, the world’s most widely used herbicide. An improvement in survival—how long a person lives after a cancer diagnosis—among people who have undergone a cancer screening test is often taken to imply that the test saves lives. But survival cannot be used accurately for this purpose because of several sources of bias. The duo will first evaluate GRANITE-001 in tandem with Opdivo in patients with common solid tumors, such as metastatic non-small cell lung cancer and gastroesophageal, bladder and colorectal cancers, the companies said in a statement. The two-part phase 1 dose escalation trial will also test GRANITE-001 with systemic Opdivo and localized injection of Yervoy. This platform has the potential to combine the advantages of conventional T cells, which express alpha and beta TCR chains, with TCRs derived from gamma delta T cells that recognize novel targets in cancer cells, according to preclinical models evaluating the lead TEG candidates. The agency based the decision on phase 1b data, presented at last month’s American Society of Clinical Oncology annual meeting, that showed the Tecentriq-Avastin pairing could provoke a response in 65% of study patients at a median 10.3 months of follow-up. Right now, BMS is waiting as the FDA reviews its application for a combination of Opdivo and fellow immunotherapy Yervoy in that field. If Bristol can pick up a nod, though, it’ll be playing from behind, as archrival Keytruda from Merck already bears a chemo-combo OK that’s helped it build out a lead. Lilly Oncology’s marketing chief has some key words for pharma marketers: Don’t lead with scientific data. Put patients’ insights at the forefront instead—and in as creative a way as possible. That’s the focus of Lilly’s brand promotions for its next-generation drugs Cyramza, Lartruvo and Verzenio. The drug, already approved for metastatic disease, nabbed an agency green light Friday for nonmetastatic prostate cancer, a goal Pfizer and Astellas have had squarely in their sights since February, when they unveiled data from their phase 3 Prosper trial. Data from AUGMENT will be submitted to a future medical meeting and Celgene plans to prepare global regulatory submissions in the first quarter of 2019. 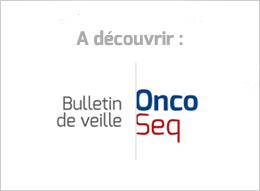 Phase 1/2 Studies will Evaluate the Combination of Imfinzi® (Durvalumab) and Sacituzumab Govitecan in Previously-Untreated Patients with Triple-negative Breast Cancer and Urothelial Cancer. Under the terms of the agreement, Strata will exclusively refer HER2-mutated advanced cancer patients identified through the Strata Trial for consideration of enrollment to Puma’s SUMMIT Trial for neratinib. Approval of TIBSOVO® was Based on Phase 1 Study Results, Including Rate and Duration of Complete Remission (CR) and CR with Partial Hematologic Recovery (CRh) and Rate of Conversion to Transfusion Independence. FDA approval is based on MONALEESA-3 and MONALEESA-7 clinical trials, which demonstrated robust efficacy of Kisqali combination therapy in multiple treatment partners and settings. FDA also approved the IDH1 assay for use in selecting patients for treatment with ivosidenib. ASCO strongly opposes provisions in the 2019 Medicare Physician Fee Schedule (MPFS) proposed rule that could significantly cut cancer care resources that are needed to provide high-quality care to individuals with cancer. Jagsi and her colleagues surveyed 2,502 patients with early stage breast cancer as well as 370 surgeons, 306 medical oncologists and 169 radiation oncologists who were treating them. Just over half of the medical oncologists said they had someone on their staff who often or always discussed the financial burdens of treatment with patients, as did 43.2 percent of radiation oncologists and 15.6 percent of surgeons. People who used herbs, acupuncture and other complementary treatments tended to die earlier than those who didn’t. Faculty tend to think of publishers not in their capacity as readers and rarely as an ongoing enterprise but as the organizations to which they would submit their own work. A publisher, in other words, is viewed purely as an editorial shop. But editorial is only one part of what publishers do, and it is in all the other aspects — production, marketing, cost controls, strategic planning — that commercial firms win out. Developed with Numinous Games—which dreamed up the award-winning “That Dragon, Cancer” app about a young boy and his family’s journey through terminal cancer—along with input from the NET community, Galaxies of Hope uses visual storytelling and music to depict perspectives from patients, doctors and caregivers.